I’ve been living the life lately. I’m practically a stay-at-home fiance, with no real responsibilities beyond doing wedding crafts, packing up the apartment little by little, and making it to the gym every day. Can’t forget working on my tan and getting plenty of sleep – very important things these days! I’d say after four years of hard work, these few weeks are well deserved, and it’s great that I get to leisurely tackle wedding planning rather than taking care of everything after school or work. And as far as food goes, nothing says leisure to me quite like pancakes, but rather than making them individually on the griddle, today I’m sharing a muffin version that allows you to bake them all up at once. Of course they’re not exactly like pancakes, but you have all of the flavors, and even the maple syrup worked into the glaze! The recipe is even semi-healthy by including whole wheat flour – perfectly acceptable for breakfast :) Maybe not if you’re 2.5 weeks away from your wedding, but any other time would be totally fine in my book. I really loved how fluffy these muffins turned out, nothing like a dense banana bread muffin or something of that sort – they really are pancake-esque. I think the addition of sour cream helps keep them lighter even with the use of whole wheat flour. 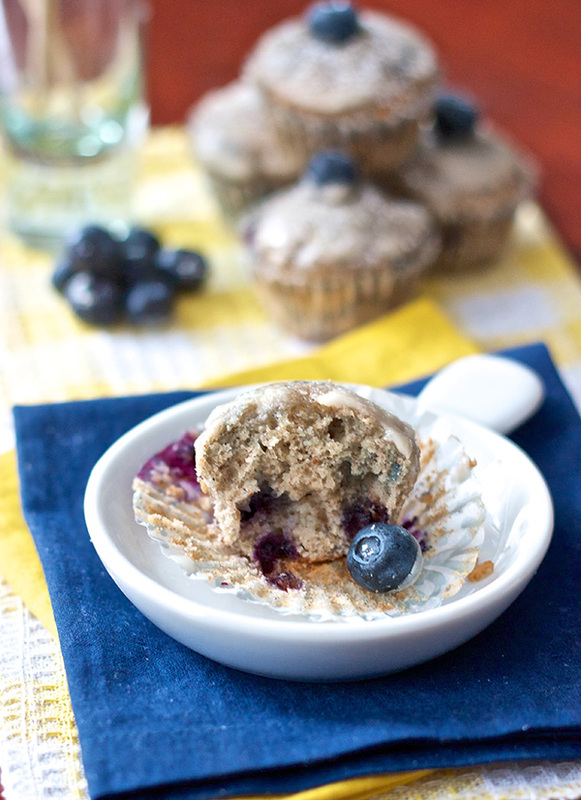 And of course the blueberries add a burst of flavor that I adore in pancakes as well as in these muffins. The maple glaze adds the perfect amount of sweetness, but I dusted them with some powdered sugar too just to be safe. And plus, everything looks prettier dusted with sugar! Preheat oven to 350 degrees and line your muffin pans with cupcake liners. In the bowl of an electric mixer, beat together the butter and sugar on medium-high speed until light and fluffy, about 2-3 minutes. Reduce the speed to medium and add the eggs and egg whites one at a time, beating well between each addition. 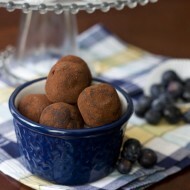 In a large bowl, whisk together the flour, baking soda, baking powder, salt, cinnamon, and nutmeg. In another bowl combine the sour cream, milk, and vanilla. With the mixer on low, slowly add the dry ingredients to the butter mixture in thirds, alternating with the milk mixture, staring and ending with the dry. Beat together until just incorporated. 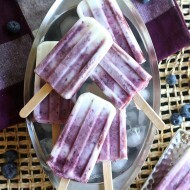 With a rubber spatula, gently fold in the blueberries. Fill cupcake liners 3/4 full and bake for 15-18 minutes, or until cake tester comes out clean. Let the muffins cool in the pan for 5 minutes, then transfer to a wire rack to cool completely. While the muffins are cooling, make the maple glaze by whisking together the maple syrup and sugar until smooth. 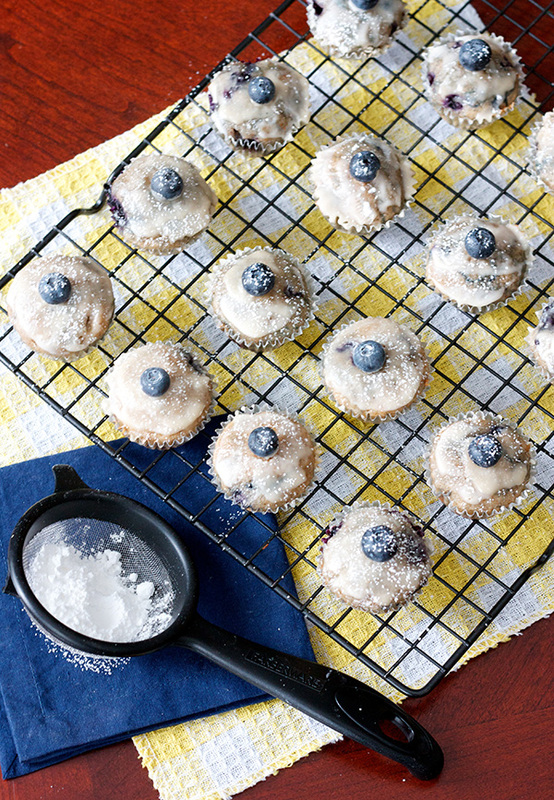 Spoon the glaze over each muffin and top with a blueberry if desired. Once the glaze is set, sprinkle with sifted powdered sugar. 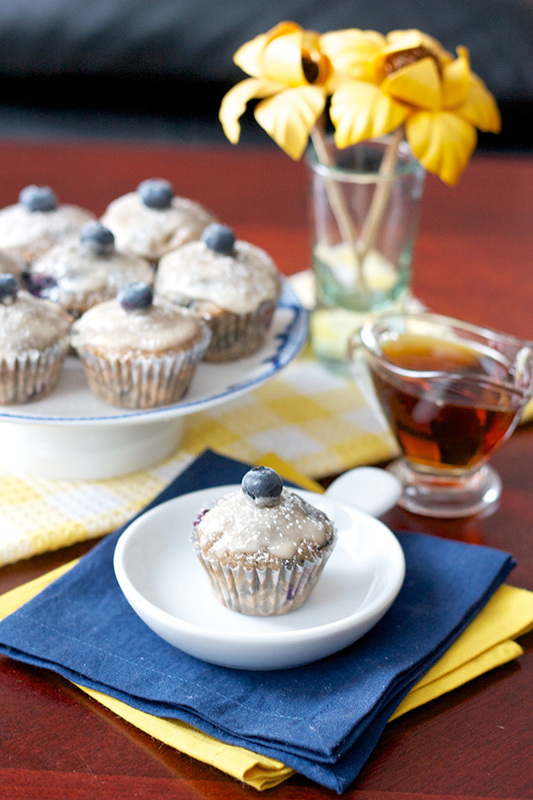 I love the idea of pancake muffins, especially with that maple glaze! These look so yummy! These sound delicious! And I’m so glad you are getting some time off before your wedding! I was able to do that when I got married and it made the process so enjoyable! Blueberry pancakes are the best. 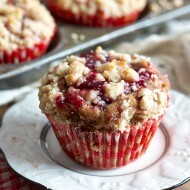 Them in muffins sounds awesome!